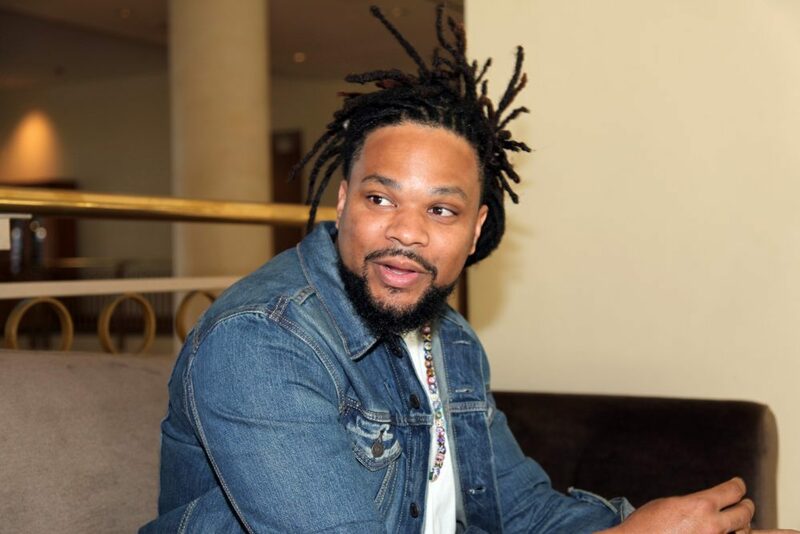 Brandan ‘BMike’ Odums is a New Orleans-based visual artist and filmmaker and the founder and director of 2-Cent Entertainment LLC, a New Orleans-based youth education social enterprise. Before participating in a panel asking “How Is the World Innovating to Reach Broader Audiences?” at a Zócalo conference in downtown Los Angeles entitled “What Can the World Teach California About Arts Engagement?” he spoke in the green room about snowballs, superpowers, and work that doesn’t feel like it. What’s the best thing about New Orleans? I think New Orleans is one of the most magical places on the planet. I think the magic comes from the people. We’ve learned to turn pain into beauty and we’ve learned to turn struggle into triumph. And I think that’s evident in everything that’s been happening post-Katrina, everything culturally that’s been happening for years. That’s what I love about New Orleans. Where would you most like to travel next? For me it would be anywhere in the continent of Africa. I’m working on a project right now with some artists in Kenya. So I’m really excited about seeing that happen, this project in the city of Nairobi. I’m excited to see that come together. Right now that’s number one for me. No. It’s super exciting for me, because a lot of the work that I do is deeply woven in history. I feel like there’s just a lot of synergy in the idea of me going there and just being able to create and build with people there. I’m excited about that. How do you relax? Decompress from work? Work doesn’t feel like work to me. I feel like I’m blessed [because] what I do is what I would be doing to decompress had I had something that required me to decompress. So even when I’m trying to step away from a project I find myself either sketching or doing something that’s still art-related. Is there a teacher in your past who inspired you? Yeah there are tons. There’s one particular one and the crazy thing is I don’t even remember his name. My first year in college I had a professor [for African American politics] who was actually a graduate student. He was younger, he was a former football player. So he walked in the classroom—at the time everyone was wearing big white tees and Nike Air Force Ones and he walked in the room like that; I thought he was one of the students. And he ended up being one of the most compelling professors I ever had. Just challenging the way we thought about our identity and the climate of the world. It was really inspiring to see that; he made it approachable. Processing and asking questions—it’s not just something that’s reserved for a certain type. He made a profound impact. I still reference a lot of conversations from his classroom. And that was over 10 years ago. Man, I think about this often because I’m such a big fan of comic books. I always come down to this idea: I really feel that a gift I have is being able to absorb other people’s energies. Any spaces that I’m in, I feel like I’m able to adjust quickly. If I’m reading a bunch of books I tend to think I can write. Or if I’m around music a lot I tend to have ideas musically. So I think [I’d like] to exaggerate that into a superpower—I’d get around other people’s superpower and I’d absorb it and make it a part of my own. You said you’re a comics fan; what’s your favorite? I was a big fan of the X-Men. Being from New Orleans, my favorite character in the X-Men was Gambit because he was supposedly this Cajun guy. I really was excited about him. Now I’m super excited about the Black Panther and the film that’s coming out. The trailer was amazing. And the recent series they released [written by] Ta-Nehisi Coates was amazing. But growing up it was the X-Men and Gambit in particular. The first X-Men movie was the first comic book film that I’d seen in the theater that I was anticipating. The idea of anticipating a movie wasn’t a big deal [before then]. Like, The Lion King came out—it just came out. I don’t think I anticipated it. But when that first X-Men came out, me and my brothers anticipated the release, counting down, and I remember we walked to the theater to see it. That was a huge deal. It was like, wow, these characters are alive. Now they’ve done so many. I wasn’t as excited about the last one. But I do fondly remember the anticipation of that first one. Do you have a favorite beverage? I don’t drink alcohol; I don’t drink coffee … In New Orleans they’ve got this thing called snowballs. I guess it’s kind of similar to snow cones but it’s different because the ice is a little bit finer. It’s one of those summer time things—when you’re in the middle of the hot humid sun and you need to kick back. There’s a lot of fond memories around snowballs. What about favorite pizza topping? There’s a dope shrimp pizza at this spot in New Orleans, Magazine Pizza. The way they use shrimp on that pizza is amazing.